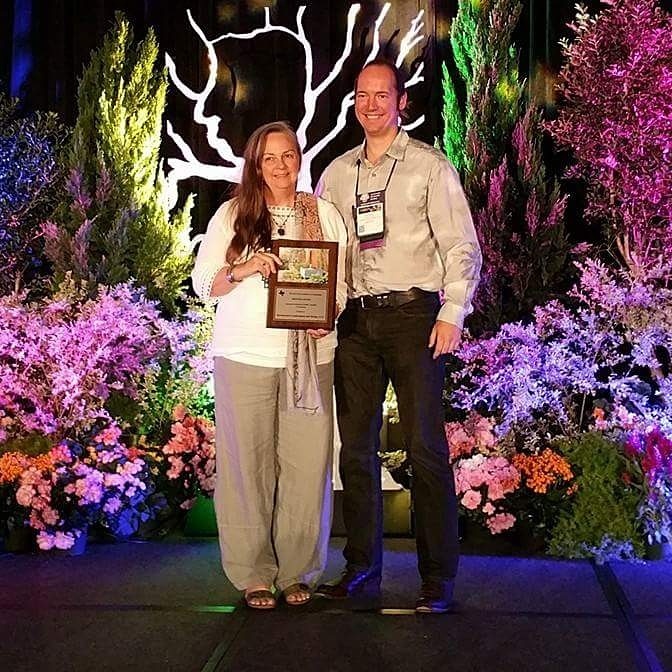 “If the idea of replacing your lawn with beautiful varieties of ground-covering plants and hardscape is appealing, all I can say is, Wait, there’s more!” – Pam Penick from her book LAWN GONE! 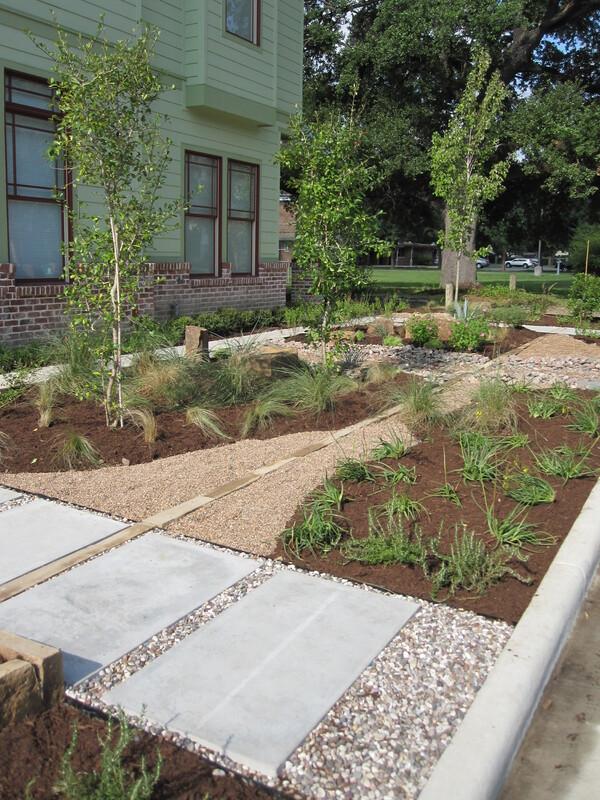 Low-maintenance, sustainable, attractive alternatives for your yard. Full of information and great pictures! The Austin style garden I have been featuring this week required some extra research. I knew the look and plants but wanted some fresh insight from someone that gardens in Austin. 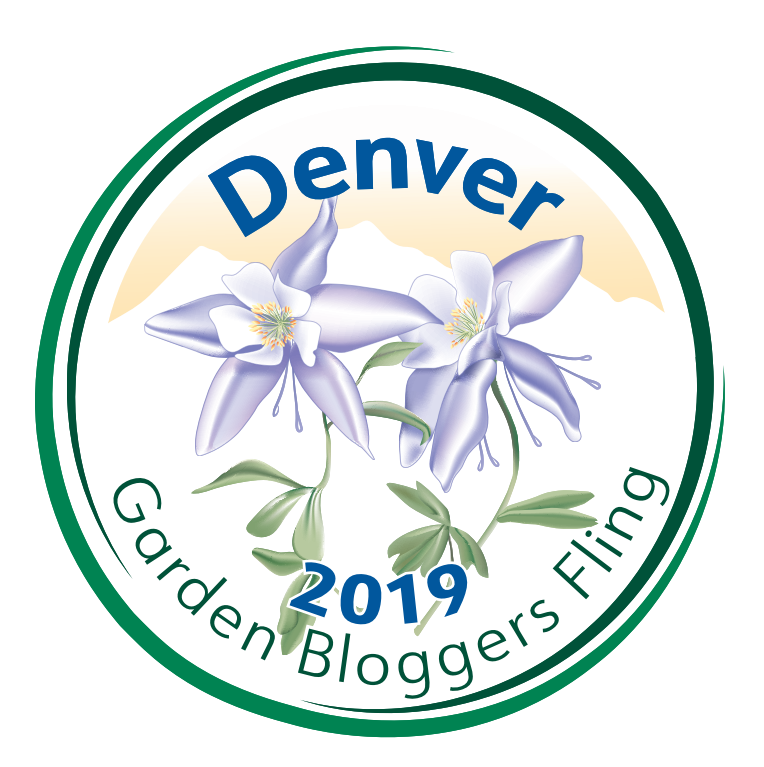 One of my favorite gardening blogs is Digging – gardening wisely & beautifully in a hot climate, written by Austin garden designer, photographer and author Pam Penick. I had recently purchased her new book on alternatives to lawns. And read it through before working on my design. It is an excellent resource and how-to-guide, for homeowners and designers alike, that want to change out part or all of their lawns and try something that requires less maintenance and water. During the drought here in Houston we began to question our lawns which need more supplemental watering and regular maintenance. And now that we are thinking green and working to minimize our impact on the environment it gives us even more reason to re-think the traditional lawn. Lawns require regular mowing and unless you have a reel push mower they add to air-pollution every time you get out your gas mower. The idea for a low-maintenance alternative’s time has come! 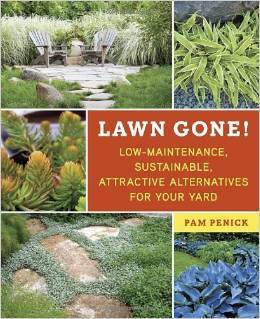 Pam’s book is a complete guide to transforming your lawn into an inviting outdoor multifunctional oasis. Each section is complemented with great photos as it steps you through the process and shares creative ideas you might consider; including advice on how to deal with HOAs and City Codes. 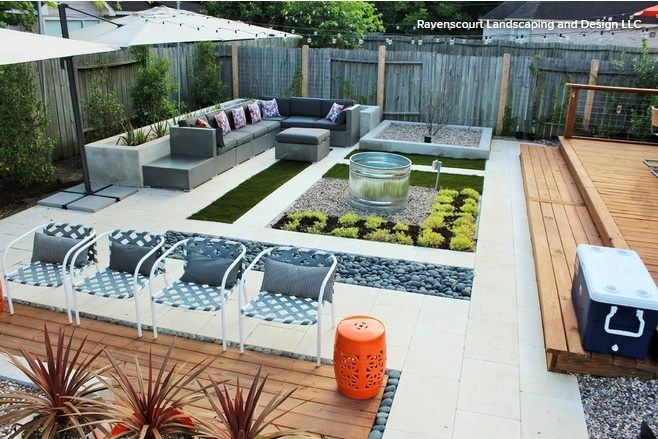 Laurin, you guys have had lawn-gone gardens figured out for a while at Ravenscourt, I’m sure, but thank you for the lovely write-up about my book! I’m so glad to know it provided you with additional inspiration! I wish there was a version of this for our Australian garden. We replaced our lawn with low maintenance native and arid-zone plants about 6 years ago and it has been a challenge to try and find things that will survive the extreme summer heat and the minus zero winter temps as well. We’re getting there but every spring (now) we have to replant a few things. It is much less maintenance, and requires less water, than lawn, however.